The industrious ancient Chinese began prospecting for useful minerals in antiquity, apparently before many other cultures did. Coal carvings have been found in the ruins of the Fushun coalfield, Liaoning Province. Their radiometric age is over 6,000 years (Neolithic). The earliest copperware in northern China is also Neolithic, and bronze was widely used during the Shang Dynasty (16th to 11th century B.C.). In 1973 a 3,000-year-old copper mine with smelting facilities was discovered in Tonglushan on Mount Verdigris in Daye County. The Daye copper mines in Hubei Province have a history going back 2,800 years and they are still in production (and providing many of our collector specimens today!). 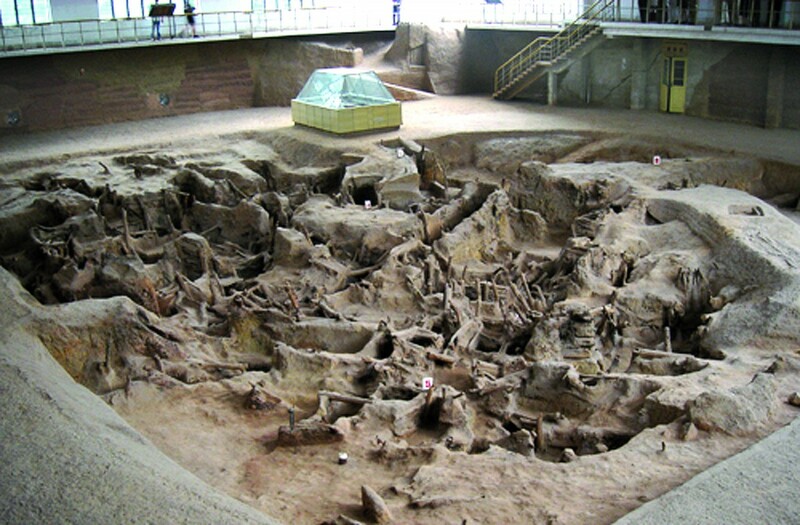 All of these finds indicate that mining activities in China began at least 5,000 years ago. Today, Chinese minerals are not just collectible treasures, but also huge economic drivers for the rise of China to world-power status. During the last century, common raw materials mined in China were used mainly for construction and weapons, but we now see China taking the lead in the production of elements and minerals used in modern technologies, such as silicon for semiconductors; see also the table of rare earths, below. As collectors, we can hope that China will soon excel in recovering and preserving the crystal specimens found in these new mines as well. Generally, Chinese mining history can be divided into two periods. The time from 6,000 years ago to the first Opium War (1839–1842) represents the primary stage of Chinese mining development, characterized by simple tools and ancient manual methods. From the Opium War to the present, Chinese mining has been characterized by a combination of Western mining techniques and traditional Chinese methods. During the Xia Dynasty, copper weapons and tools were already in wide use by 2000 B.C. In the Yin ruins at Anyang, Henan Province, a major archaeological site of the Xia and Shang Dynasties, gold, copper, tin and lead tools and containers have been found. For example, the Simuwu Ding (a sacrificial vessel) found in the Yin ruins contains 84.77% copper, 11.64% tin and 2.79% lead, which is very close to the composition of the bronze alloy having the highest hardness known to the modern metallurgical industry. There is little doubt that ancient China excelled in metalworking. Nephrite and serpentine jewelry have also been unearthed in sites dating to Xia and Shang Dynasty times. Excavated ruins of the Tonglushan copper mine, Mt. Verdigris, active from the 11th century B.C. to the 2nd century A.D.
At this time, the Tonglushan mine at Daye in Hubei Province, one of the world’s oldest copper mines, was established. It worked the oxidized zone of a high-grade copper deposit: the total length of the ancient trenches and shafts is estimated at 8,000 meters. Next to the old workings, a large open-pit mine for copper is still in operation today, providing beautiful specimens of calcite, malachite and azurite crystals. 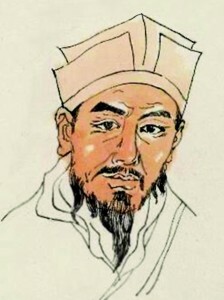 Astronomer and scientist Shen Kuo (1031–1095) of the Song Dynasty. Mineral prospecting, mining activities and mineral utilization are discussed in his famous work Chat by Dream Creek. Portrait taken from a 1962 postage stamp. 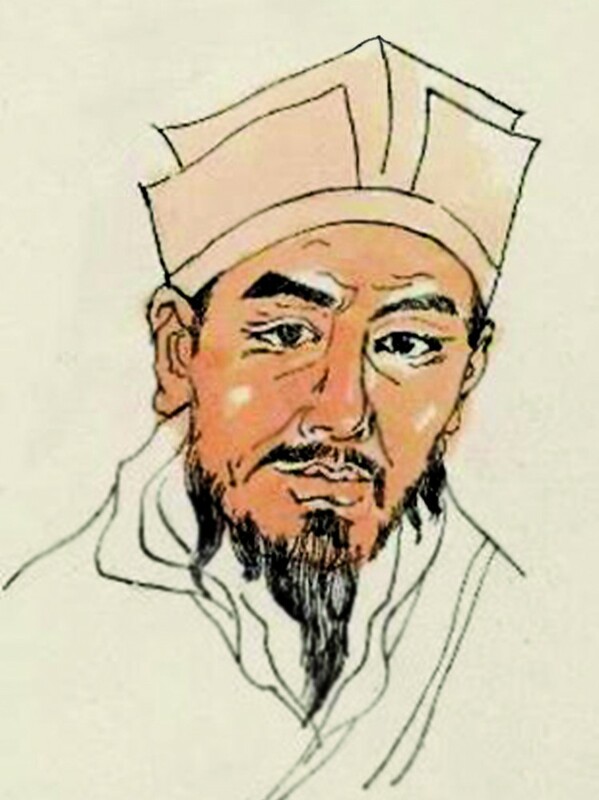 The astronomer and scientist Shen Kuo (1031-1095) of the Song Dynasty made considerable studies of minerals and rocks. In a famous work called Chat by Dream Creek, mineral prospecting, mining activities and mineral utilization during Shen Kuo’s time are discussed. For example, Shen pointed out that bluestone (chalcanthite) contains water and can be refined into copper, and he predicted that the oil (petroleum) derived from rocks would be widely used in the future. Shen Kuo clearly described the crystal geometry and cleavage of gypsum, matching its crystal description in modern mineralogical textbooks. Without a doubt, Shen Kuo can be regarded as the pioneer of Chinese mineralogy. By the middle Qing Dynasty (about the 1740s), the Chinese had already begun to exploit natural gas in Sichuan Province, and thus must have had some understanding of the subsurface geology of the gas-bearing basins of Sichuan. This may represent the first application in China of petroleum and gas geology. 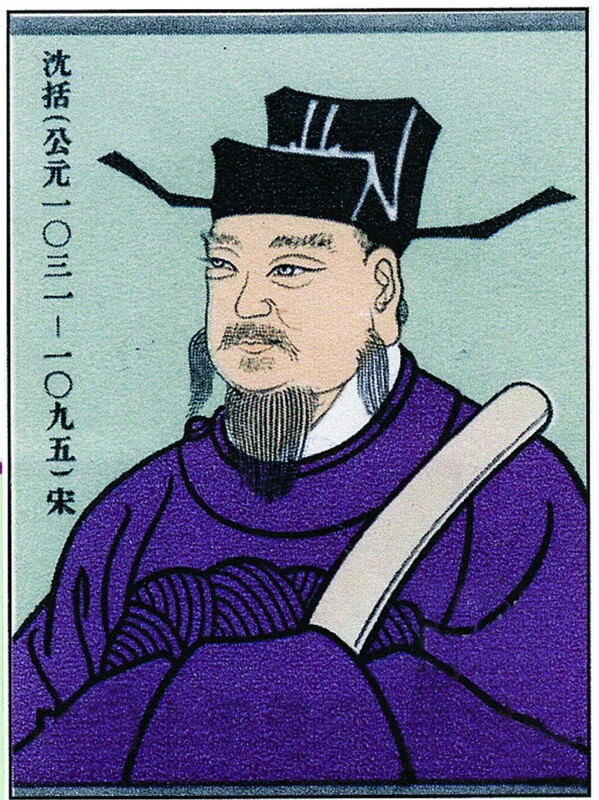 The Chinese, with their long history of geological observation and mining, could have played a leading role in world history: what a pity it was that between the time of the Qingshi Emperor (1722—1735) and the mid-19th century, China closed its door to the Western nations and refused to import advanced theories and technology relating to mining, geology and mineralogy such as the West developed during the Industrial Revolution. Since the end of the Opium Wars in 1860, Western science and technology has strongly influenced the development of Chinese mineralogy and the mining industry. Modern geological surveys for the mining industry in China began with exploration for iron ore, since iron was needed for national defense purposes. Between the revolution in 1911 and the Second World War, foreigners ran many mines in China, including the world’s largest antimony and tungsten mines. Systematic geological surveys were begun by Westerners, and the most important large-scale mines, including the Xikuangshan antimony mine in Hunan and the Wanshan mercury mine in Guizhou, were operated by Western experts. After the war against the Japanese (1930s–1940s), most foreign-owned mines were returned to the Chinese government, but by that time the majority of them were either depleted or completely exhausted. Since the 1950s, significant developments have been made in three phases. From 1950 to 1967, Chinese mining leaped forward, driven by the large-scale reconstruction and redevelopment of all industrial sectors after the civil war. All of the mines were owned either by the central government or by local governments. The period from 1968 to 1977 was a time of economic depression resulting from the Cultural Revolution and other political movements. Most mines reduced their output, and some mines suspended their production altogether. The total mineral output of China reached a minimum in this period. Xiaojun Chen of The Arkenstone collecting in the Huanggang mines in 2011. After 1978, China entered a new period characterized by political liberalization and economic reforms—changes which enabled the rapid growth of the mining industry. By the late 1990s, according to recent statistics, the economic mineral output of China included 168 different products mined from more than 20,000 deposits. The abundant raw materials for the production of iron, aluminum and cement, as well as many other industrial products, came to be important in world markets. Today, lead, zinc, nickel, tungsten and antimony are crucial for Chinese industry (just as minerals from these very same mines are desirable to collectors), and China has also become the world’s leading supplier of politically and economically crucial rare-earth elements. 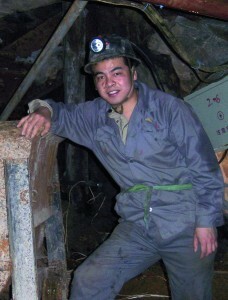 More than 7 million employees are currently working in the mining industry in China. The mining techniques in use in most mines still remain backward by modern standards, some being shockingly similar to those used in Europe in the 16th and 17th centuries. Vertical and inclined shafts predominate, and modern adits (horizontal tunnels) are uncommon in underground mining, because the wood and steel they require for support is expensive. In many small mines, oil lamps, hand hammers, human transport and rope hoists are the rule. Of course, these conditions make it easier for the miners to recover specimens, if they know how to do so. Miners tend to be uneducated people, chiefly farmers who work in the mines between harvests. Nevertheless, these numerous small and often private mines, and the use of simple, traditional mining tools, are responsible for the emergence of most of the Chinese specimens in the world mineral market in recent years. However, a great number of these small mines were forced to shut down at the beginning of the 21st century because of enormous problems with safety, the adverse effects of mining on miners’ health, and environmental degradation. These problems have been caused by the primitive state of the workings and the rapaciousness of mining operations. Extremely low recovery rates have wasted large amounts of valuable resources, and sprawling mining activities have created serious environmental problems. As modernization sets in, the closing of many small mines and the increasing development of large, efficient operations are having detrimental effects on the mineral specimen market. In small mines, with only limited use of high-tech mining methods, quality specimens can be much more easily extracted, and miners can minimize damage to them. But in large, modern mines, the use of sophisticated mining equipment affords workers fewer chances to find and save collector-quality specimens. China is a country with almost unlimited possibilities for specimen recovery in the foreseeable future. It is a huge country with vast, undeveloped areas and low mining costs, and so the current variety and quantity of minerals on the market still represents but a small part of the real potential. With the increasing influence of Western tastes in mineral collecting and trading, more and more miners and mine owners are becoming aware of the value of quality minerals, and will extract specimens with more care when they find them. The lack of a mining culture in China like that which developed in Europe is the principal reason why European-style mineral museums and mineral collecting failed to catch on in China. 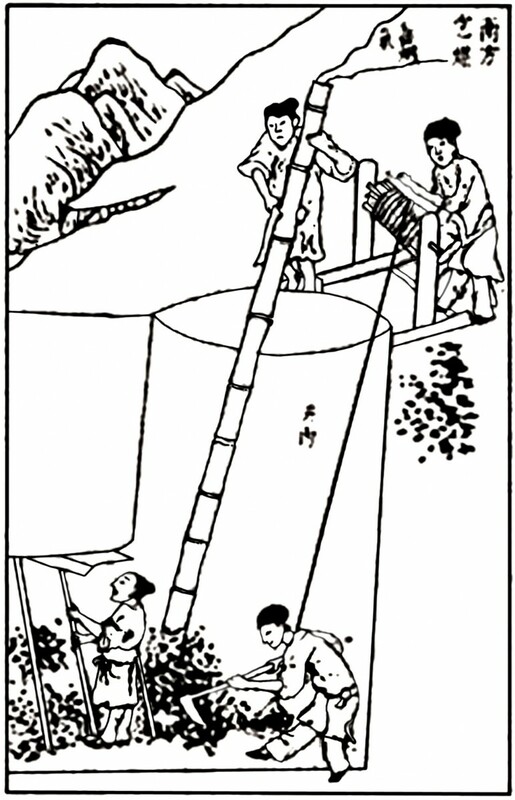 The Chinese mining industry of the Middle Ages never achieved the level of social importance that it gained in Europe, and only incremental developments in mining technology took place there for centuries—though smelting and metallurgical knowledge in some ways exceeded that of Europe. As of the early Northern Song Dynasty (a thousand years ago) there were only about 200 metal mines operating in all of China. With some notable exceptions, mining throughout the country focused mainly on small, widely scattered deposits unsuited to heavy capital investment and operated by seasonal, local, unskilled labor. Small mines were soon worked out and the local farmers who had worked in them went back to their farms. Thus, despite a few large operations for iron and copper, no true mining culture (a hereditary and local source of pride within communities of professional miners) developed as it had in old European mining districts like Saxony and Cornwall, and the ruling class apparently never developed the same level of pride in the natural mineral resources of their lands. of Exploitation of the Works of Nature (1637). Chapters in this important work covered mining techniques, mining tools, refining technology and various types of ore deposits. Detailed information on mining technology was also scarce in the 16th and 17th centuries. Yingxing Song’s Exploitation of the Works of Nature (1637) included a chapter on the mode of occurrence and the identification of metallic ores; and Georgius Agricola’s De Re Metallica (1556) was translated into Chinese in 1640. But without a formal educational infrastructure for training mining men, the knowledge therein spread only very slowly, and so even the written works available were poorly utilized. Some mines known to collectors today (e.g. Yaogangxian and Xianghualing) were already in operation by the end of the Ming dynasty in 1644, but they still employed very primitive methods. In China, although mining had gone on for thousands of years, a university or college system like that found in Europe failed to develop, and no schools arose for the training of mining professionals until the 20th century. Court-appointed officials (surely without technical training) were sent to manage the largest mines. The Jiaozuo Coal Mining School (later renamed Henan Polytechnic University), founded in 1909 by the British Syndicate Company. 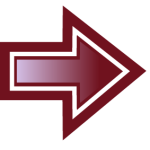 Ltd., was the first such institution in the country. Later that same year the Jiaozuo School of Railroads and Mines (now known as the China University of Mining and Technology, currently located in Xuzhou, Jiangsu province) was also established. As a result of the Opium Wars in 1839–1860, and the incursion of the British, the ancient and well-organized feudal structure of China collapsed, and the country was reduced to a semi-colonial status. In the latter half of the 19th century, British mining engineers were brought in by British corporations to oversee mining operations at the larger mines in China, and these organizations finally introduced modern mining technology. Unfortunately, the British failed to instill any appreciation for mineral specimen preservation, perhaps because (unlike elsewhere in Europe) the high nobility in England from the 1700s to the present day has mysteriously shunned the collecting of minerals. Had it been the collecting-oriented Germans, Bohemians or Austrians who were the dominant invaders of China instead of the British, the mineral collecting culture in China might have turned out very differently!